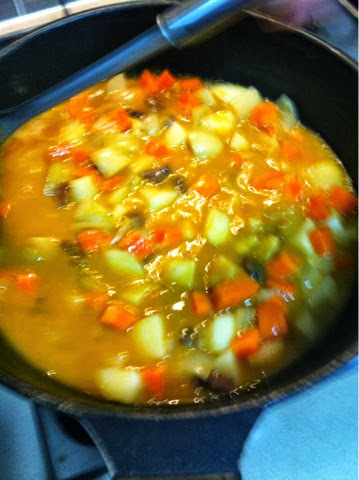 So last night, Jo's mother decided to make curry. Now this is not your normal curry. 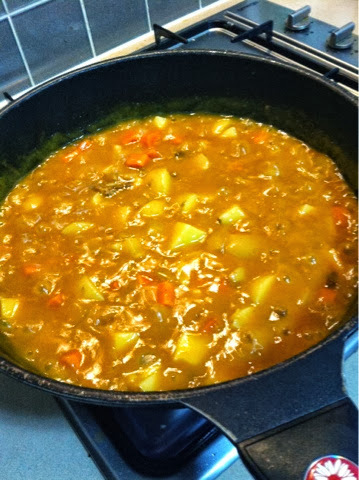 It's korean curry. 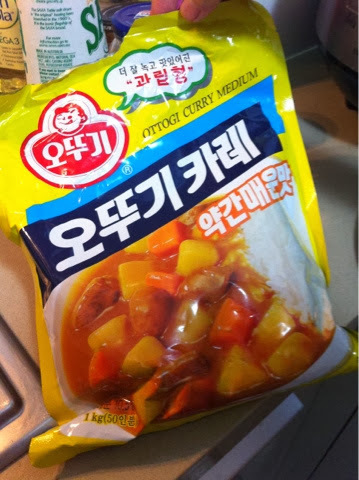 According to Jo's mom, whom we shall call Auntie Cho, said that Korean curry has a lot more vegetables. 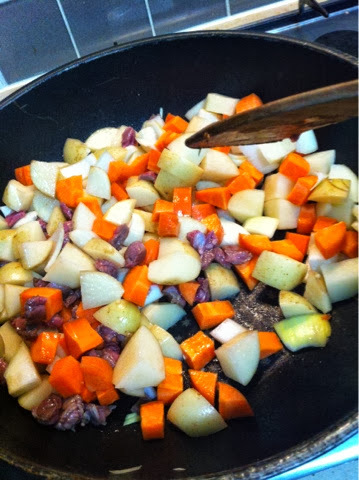 Potatoes, carrots, onions, and meat. Portions needed depend on how many one is cooking for. 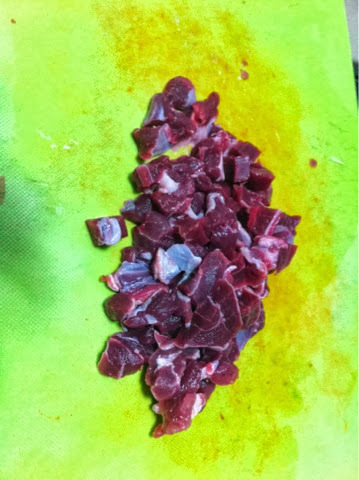 First, dice up the beef. 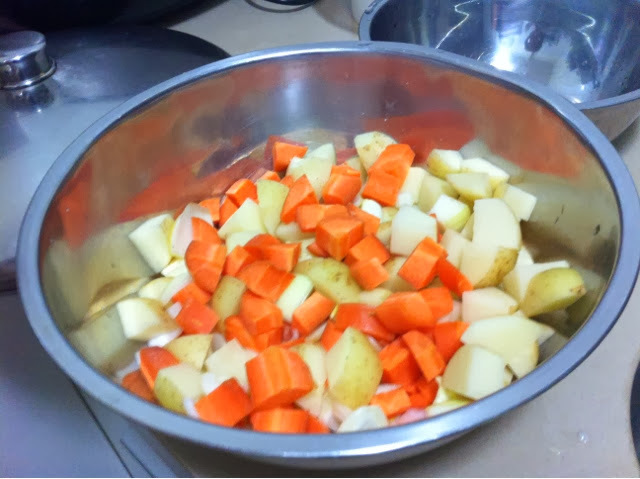 Then cut up the onion, carrots, and potatoes into bite sizes. 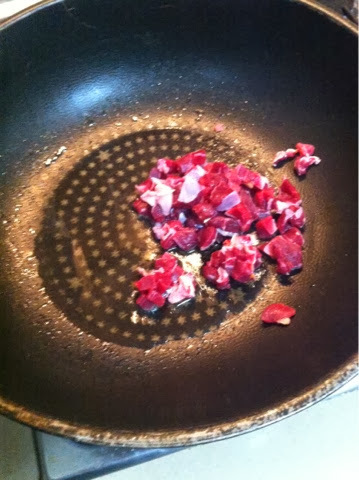 Heat some oil in the frying pan, and stirfry the diced beef. When the beef is half cooked, pour in the vegetable mix. Pour in hot water and enough to cover the potatoes. Then cover with a lid and boil for about ten minutes over medium heat till potatoes and vegetables are tender. This is the curry powder used. This version is not so spicy and costs $Aud4.62 at the Asian grocery. Pour in the curry powder into a bowl and mix with water. 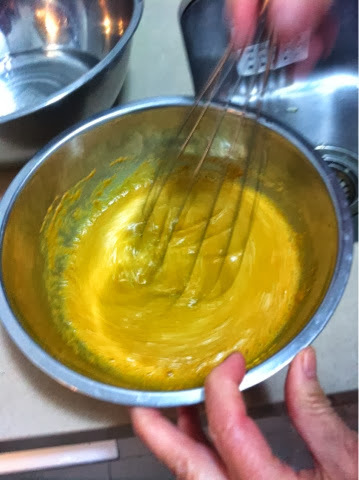 Then whisk it to create a thick liquidy paste. Pour in the liquidy paste into the pot. Continue boiling over medium heat. 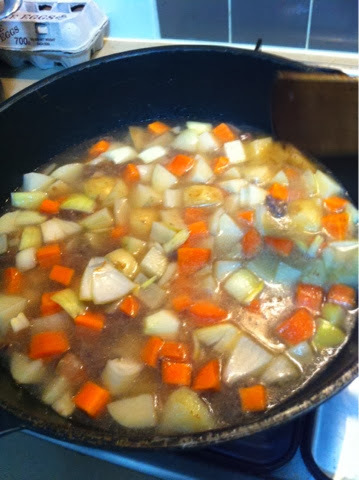 When the gravy is reduced to a nice thicker consistency, it is ready to serve. Serve it mixed with rice like bi bim bap. Verdict: home cooked food is yummy!! Delicious and tasty even without needing to add salt, sugar or soy sauce.